There are many fashionable ways to wear a comb over fade haircut. Because a comb over is a versatile, trendy hairstyle, it is perfect for all hair types (straight, wavy or curly) and many facial contours too. When you choose this hairstyle, you can get a high, low or mid fade comb over depending on how short you want your sides cut. Then you can play with the hair on top and even add a side part for a more defined look. 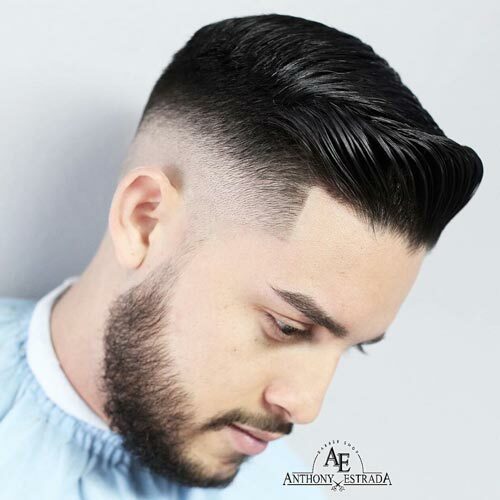 Comb overs were originally associated with balding men who wanted to cover up their thinning hair, but today, it has taken on a whole new appearance with a variety of side-swept styles and haircuts for an amazing transformation. Want to try a modern comb over? Let’s take a look at your options. 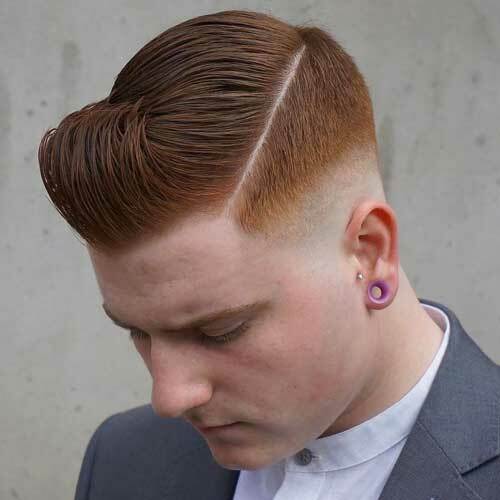 Below are some great ways to style a comb over fade haircut. The comb over may be a classic look, but when you add a fade to the haircut, it turns into a very modern style. 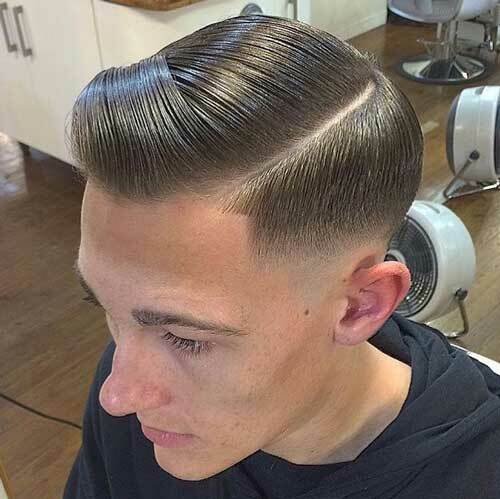 A comb over fade changes an otherwise conservative hairstyle into an astonishing new look. Starting the lineup at or below the side part displays a subtle transition from part to fade. A comb over and deep part is a bold way to make a statement. 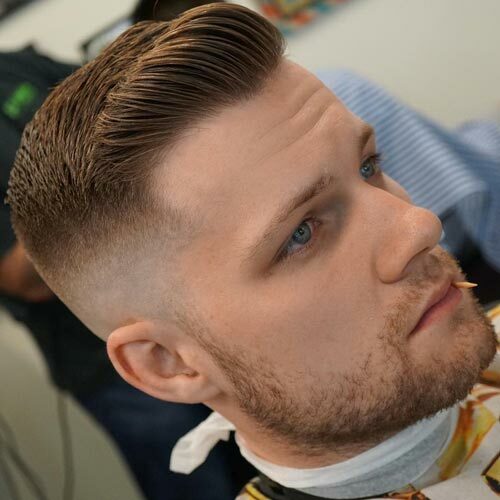 Cut the sides sharply into a very low skin fade which helps you create an impression of a razor cut. You will need some hair product to keep the front hair looking clean and intact. 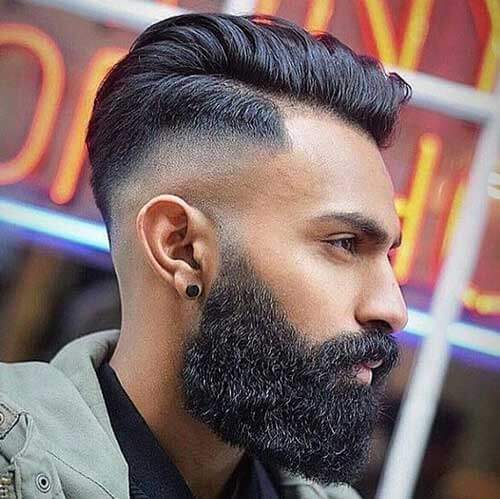 Just like a Bandholdz beard, this razor fade haircut with a beard goes wonderfully with a comb over and will turn a lot of heads. 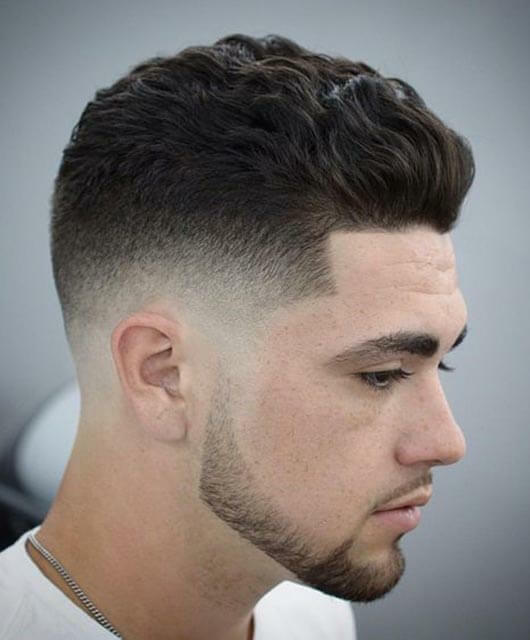 The razor fade starts higher than a more conservative fade haircut and blends well with the beard. If you are not fond of hair products, then this will be a perfect choice for you. 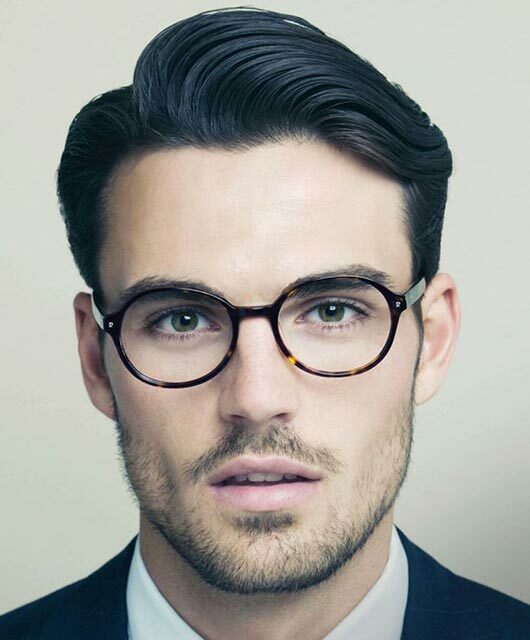 A short comb over is great for those times when you want to look like a gentleman. You can cut your hair into a sophisticated long on top short on sides that are not longer than an inch. Easy to maintain as all you need is some pomade and a brush. 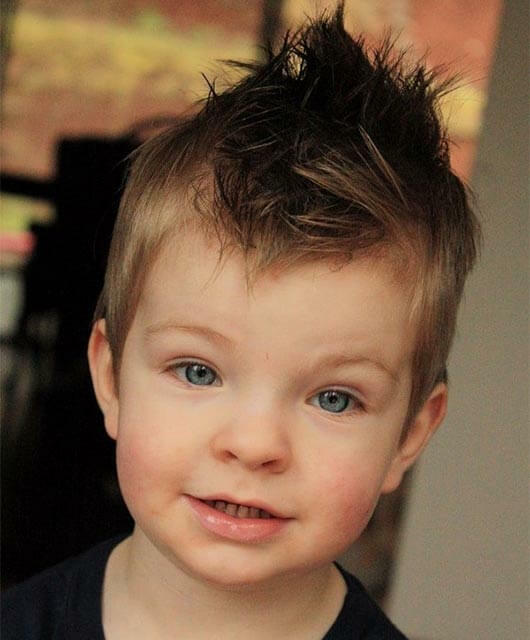 A short comb over and a high and tight haircut go so well together. The sides and back are cut short and the short top is textured for a good contrast. You don’t need to have thick hair to pull this off—a 1-inch length will do fine. Just use hair gel and air dry for a crisp military look. Another take on a comb over hairstyle is to incorporate a coffee and a taper fade that progresses from the nape to the long hair on top. 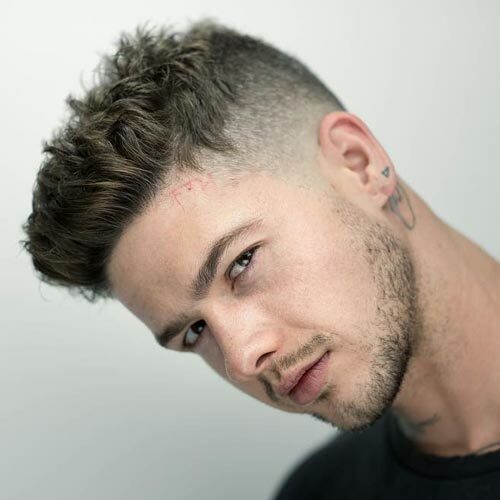 This awesome combination makes for a fresh and unique variation of an otherwise classic hairstyle. 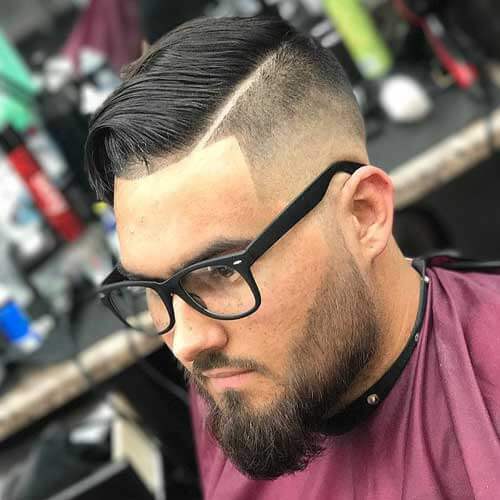 Don’t worry if you have naturally wavy hair, you can still pull off this mid fade comb over haircut; preferably with a great beard too. If you have straight hair, you can also wear this look but will need some hair product to maintain the look. However, with your natural waves, you don’t need hair gel to make it look like it does in the picture. 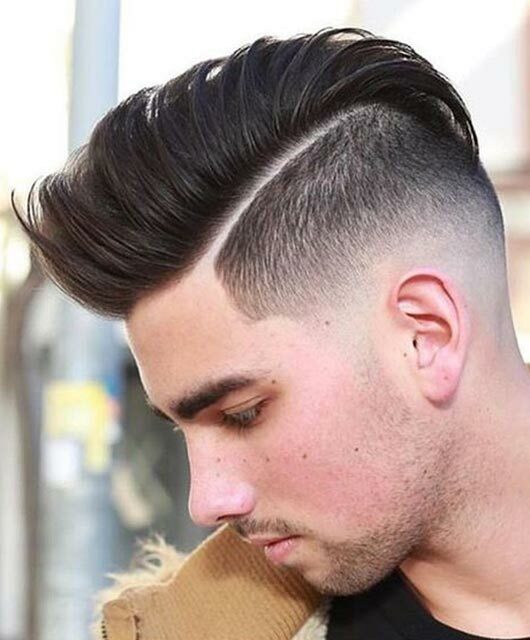 This haircut looks great on men who have class and style. 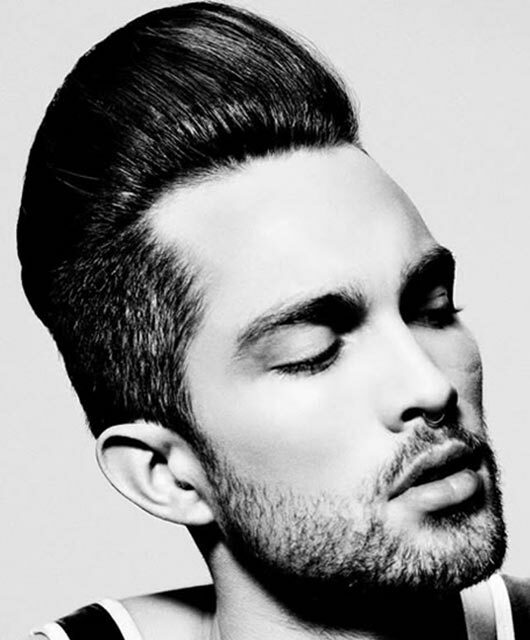 Whether you have thick or thin hair, you can still achieve this look, just add in some hair gel for a dense hair look. Pomade and hair serums are necessary to make this style even more attractive. 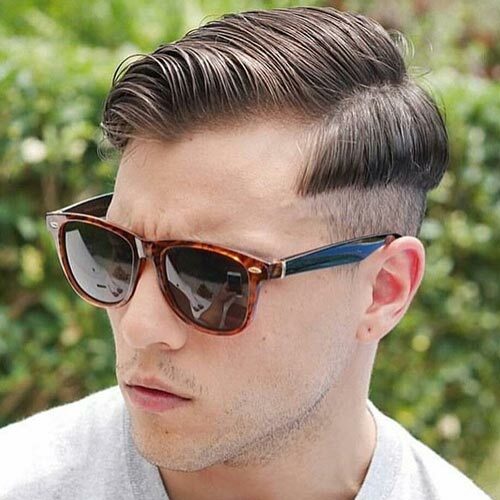 A comb over low fade haircut is for the free-spirited man. The low fade tapers from the hair on top down to a bald skin cut just above the ears, and all the way to the back. It’s a super sleek and bold style that takes its inspiration from the word ‘sophistication’. Include some hair length on the top and keep it tidy for the best results. 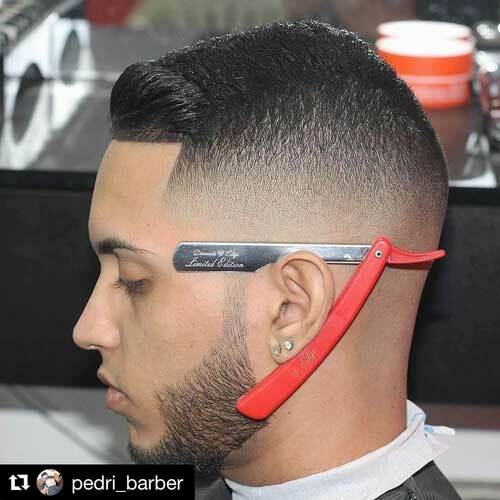 Guys with a receding hairline will love the taper fade comb over because it can turn a simple haircut into a true work of art. 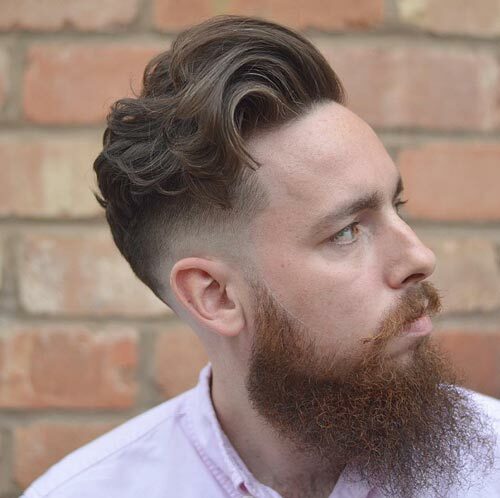 This classic look is perfect when combined with a drop fade. Maintenance is easy, just add some hair product and blow dry.